New siding installation is a great way to improve the beauty and durability of your home's exterior. Badgerland Exteriors installs siding products from leading manufacturers, offered in a wide variety of materials and colors to match the architectural style of your home. No matter what type of siding you choose, the products we offer will provide durability, excellent value, and a beautiful home exterior. For quality siding and expert installation, call us at 1-855-569-9767 or click below to request a free on-site design consultation and estimate today! Call us or fill out the form for your Free Estimate for roof repair, home siding installation, roof replacement and other roofing services in Wisconsin. This beautiful home on Lake Mendota received a new modern look with updated siding, roofing and gutters. The wood siding that was on this lake cottage was damaged and rotting due to moisture and weather. The homeowner wanted to have a nice natural look and decided to have Ply Gem Mastice Carved Wood Vinyl Siding installed. The new siding looks amazing when you top it off with new gutters & downspouts and new trim, it looks like a brand new cottage! This home in Cross Plains looks incredible after replacing their cedar siding with Mastic vinyl siding. The Montana Suede color looks great with the wooded backdrop. This home got a brand new updated look with new siding and soffit. Installed Tyvek over old wood siding, and then new Mastic Ovation vinyl siding in Quiet Willow give a neat clean look as well as helping to preserve the home from the elements. This customer is happy with the new look of their home, wouldn't you be? This home in Richland Center, WI needed a little facelift. Badgerland Exteriors replaced the old aluminum siding with Certainteed Mainstreet Heritage Cream, installed aluminum soffit, new windows & gutters and painted the porch too. Comments: I used AJ and Badgerland Exteriors for a siding project on my house. He and his crews got the job done on time and budget. He had good communication throughout the job and even after the work was finished came back to address additional concerns I had. My impression was that he was an intelligent professional contractor and worked hard for my business and satisfaction. I would use him again on future jobs. We worked with AJ Stoffels of Badgerland Exteriors to repair and replace siding on our apartment building that was damaged in the tornado that came through Verona in June 2014. The "back and forth" with the insurance company was very frustrating. I was very impressed that AJ took over working with the insurance adjuster so I didn't have to. AJ did a great job getting us the compensation that we were entitled to and not backing down when the adjusters didn't agree. The siding crew consisted of some extremely hard workers; they were VERY impressive.They were there first thing in the morning and worked late every night until the job was complete. The grounds were spotless every night when they left. We never found even one nail on the ground when they were done! The completed project looked great. I never had so many compliments from my residents regarding any contractor! Badgerland Exteriors did our vinyl siding 2 years ago. It was a big job! Our daughter's wedding was one week from the start of this project. They worked tirelessly to complete the job before the wedding! AJ & the crew were very professional & courteous. AJ wouldn't end the project until we were completely satisfied! Would highly recommend them! 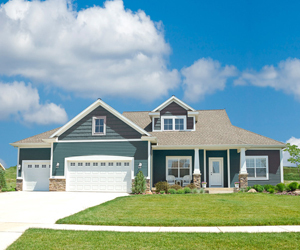 At Badgerland Exteriors, we offer multiple siding materials including traditional and maintenance-free solutions that will increase the beauty and value of your home. 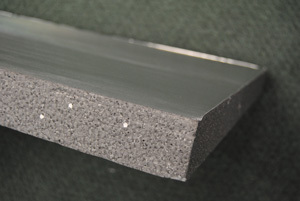 We use the best siding products from leading manufacturers. Take a look below at the major benefits of the different siding materials that we offer. Our siding specialists can help you choose the best option for your home. With possible features like low-e, argon-filled insulated glass, and advanced vinyl construction, you'll get maximum energy savings and totally maintenance-free windows. If you're planning on replacing your siding or need siding for a new construction job, it's smart to ask about rigid foam insulation that can be installed beneath or integrally with the siding. New vinyl siding in Quiet Willow with clean white trim, classic. We are South Central Wisconsin's expert roofing contractor, working in Madison, Sauk City, Baraboo, Prairie Du Sac, Verona, Cottage Grove, Middleton, Deforest, Cross Plains, Waunakee and many nearby towns and cities throughout Wisconsin. For a vinyl siding price estimate, contact Badgerland Exteriors by phone at 1-855-569-9767 or contact us online today!